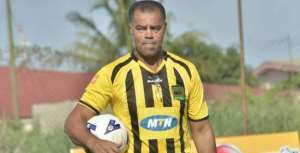 Former coach Asante Kotoko, Steve Polack has urged the management of the club to keep CK Akunnor and make few additions to the squad to make them formidable in Africa. The Porcupine Warriors suffered a painful elimination from CAF Confederations Cup after 2:1 to Zesco United in the final group game on Sunday in Ndola. However, the English trainer says the club should not be bothered about their elimination from the competition but the club should build a good team for future tournaments by getting hold of the backroom staff and the core players. "I wasn't surprised Kotoko got into the group stage of the CAF Confederation Cup because it is a big Club and I'm happy for them because it wasn't an easy task," he told ASHH FM Breakfast Sports. "The way forward from the start wasn't the best because, in competitions like this, you need to win all your home matches and try to secure some points away from home but things didn't work out well for Kotoko. "Kotoko must prepare for the future and try to keep the same players and technical team to build cohesion in the team and also learn from their mistakes on and off the pitch," he added. Al Hilal and Nkana FC progressed from Group C to the next series. Steve Pollack was sacked by the Porcupine Warriors after the club was eliminated from the 2017/2018 CAF Confederations Cup by CARA Brazzaville.